Fit For Print – Did The New York Times Get it Wrong? Tourism, it need hardly be pointed out, is big business in Iceland, an industry which in the years following the crash has ballooned, with more than double the country’s population visiting last year. But while making it into the New York Times would normally be good news for Iceland’s economy, a recent entry about Iceland’s highlands on the publication’s “52 Places to Visit in 2014” list was less than ideal from a publicity standpoint. 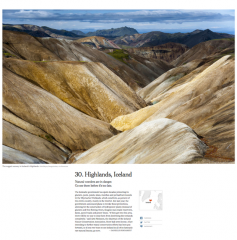 The “52 Places” article was widely quoted within the Icelandic media. Within days of its publication, the Ministry for the Environment and Natural Resources issued a brief statement in Icelandic bearing the title “Incorrect Reporting by the New York Times.” It claimed that the New York Times article was “full of misrepresentations” and was “paradoxical and wrong.” The author of the article, contributing travel writer Danielle Pergament, was not contacted in regard to any “misrepresentations,” and neither was the New York Times—although the latter was invited to send a reporter to an open Environment and Communications Committee meeting on Þjórsárver a few days after the article’s publication. So what exactly caused all the kerfuffle? Did The New York Times get it all wrong? Before we address the “incorrect reporting” alleged by the Ministry of the Environment, it will be useful to step back and explain a little of the context surrounding the Þjórsárver Wetlands and the battles which have been waged over this area since the 1960s. 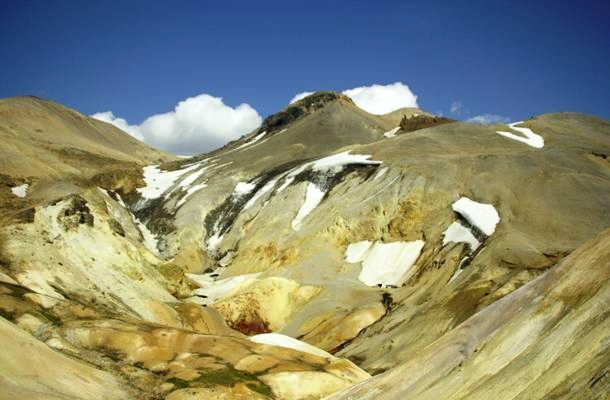 Located in Iceland’s interior, the Þjórsárver wetlands stretch 120 square kilometres from the Hofsjökull glacier in the northern highlands to surrounding volcanic deserts and are characterized by remarkable biodiversity. 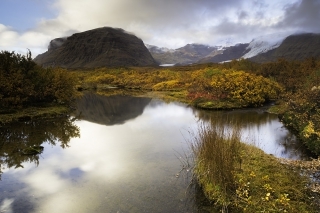 A description on the World Wildlife Fund website points not only to the variance of the landscape itself—“tundra meadows intersected with numerous glacial and spring-fed streams, a large number of pools, ponds, lakes and marshes, and rare permafrost mounds”—but also to the area’s unique plant and birdlife, including one of the largest breeding colonies of Pink-footed Geese in the world. 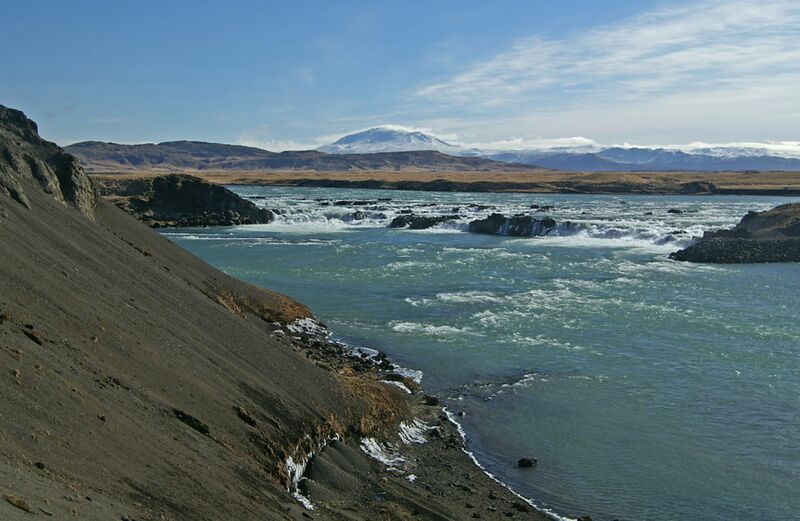 Þjórsárver is fed by Iceland’s longest river, Þjórsá, which also sources much of the country’s electricity. 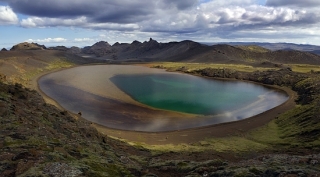 Since the early 1960s, Landsvirkjun, the National Power Company of Iceland, has proposed several plans for creating a reservoir on Þjórsá that would facilitate increased energy production and enlarge energy reserves. Such reserves would not only be useful for existing industries, such as aluminium smelting, but—following the proposed creation of a submarine cable to Europe—could also be sold as part of foreign energy contracts as early as 2020. Through the years, Landsvirkjun’s proposals have been met with frequent opposition, which in 1981 led to a nature preserve being created in the Þjórsárver wetlands. However, a provision was made within these protections, allowing Landsvirkjun to create a future reservoir, provided that the company could prove that the wetlands would not be irrevocably harmed, and that the Environment Agency of Iceland approved the reservoir plans. 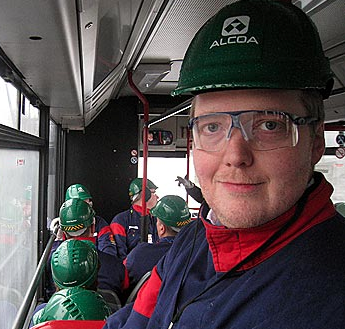 By the late ‘90s, there was another flurry of activity: in 1997, the Iceland Nature Conservation Association (INCA) was founded with the “primary objective” of “establish[ing] a national park in the highlands.” Two years later, the government began work on an extensive “Master Plan for Hydro and Geothermal Energy Resources.” Divided into two phases that spanned from 1999 -2010, the Master Plan was intended to evaluate close to 60 hydro and geothermal development options, assessing them for environmental impact, employment and regional development possibilities, efficiency, and profitability. Over the course of the Master Plan’s two phases, it was decided that the nature preserve established in the Þjórsárver Wetlands was to be expanded and designated as a “protected area.” The new boundaries were to be signed into regulation based on the Nature Conservation Act in June 2013 (the resolution was passed by parliament that year according to the Master Plan), until the Minister of the Environment, Sigurður Ingi Jóhannsson, elected to postpone making them official in order to consider a new reservoir proposal from Landsvirkjun. Based on this new proposal, Sigurður Ingi has drawn up new boundaries for the protected area, which would expand the original nature reservoir, but cover less area than the original boundaries created by the Environment Agency of Iceland. The new suggested boundaries do not extend as far down the Þjórsá river, and therefore would allow Landsvirkjun to build their Norðlingalda Reservoir. Conservationists who oppose this point out that the three-tiered Dynkur waterfall will be destroyed if Landsvirkjun’s reservoir plans go through. 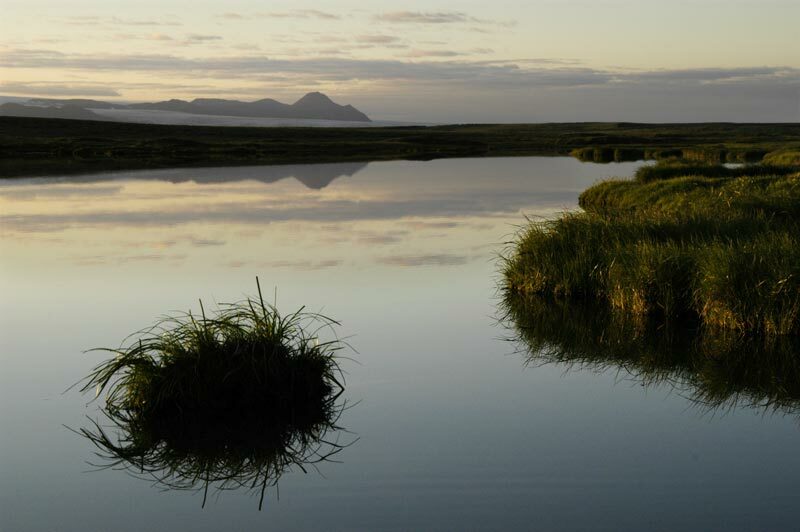 The first version of the article, since corrected, read as though the Þjórsárver wetlands constituted 40% of Iceland. 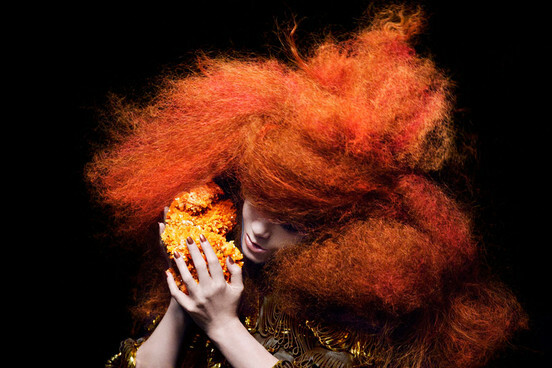 In reality, it is the highlands that constitute 40% of Iceland’s landmass, and Þjórsárver is only part of this area. Following a call from Árni Finnsson, the chair of INCA who was quoted in the piece, this error was corrected. 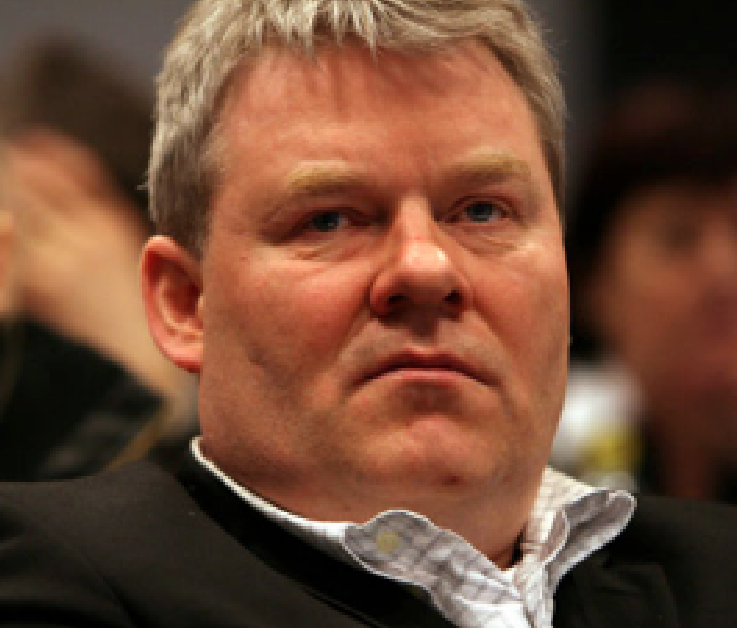 It is true that Minister of the Environment Sigurður Ingi Jóhannsson has not suggested that the current protections—namely, the preserve that was established in the ‘80s—be altered. Nevertheless, it is also misleading to suggest that he personally “aims to expand the protected area,” as the expansion plans were basically mandated by the findings of the Master Plan. Moreover, he elected not to approve the Environment Agency’s expanded boundaries, but rather to propose new boundaries which would create a smaller protected area than was intended. So no, Sigurður Ingi is not cutting back on “current protections,” but that’s only because he refused to approve the protections that were supposed to be in place already. What we’re seeing the Ministry of the Environment do here is a neat little bit of semantic parsing. 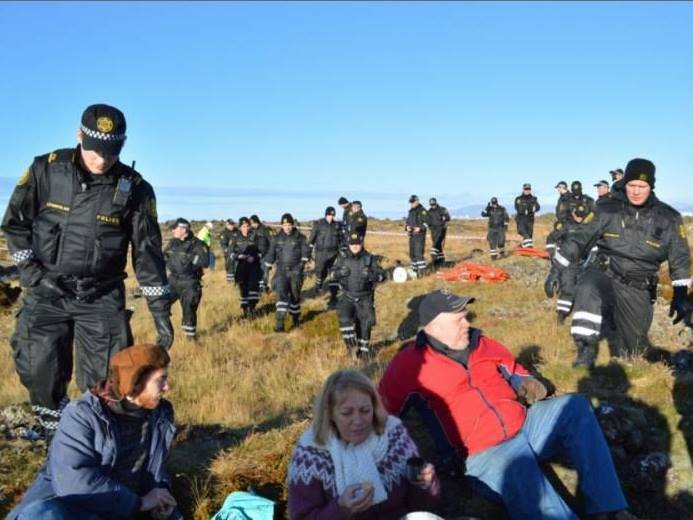 The NYT article states that after spending decades protecting the wetlands, “the government announced plans to revoke protections, allowing for the construction of hydropower plants.” This is a carefully qualified statement, and might accurately refer to any of several ministerial initiatives, from Sigurður Ingi’s redrawing of the Þjórsárver protected area boundaries, to his recent proposal to repeal the law on nature conservation (60/2013). 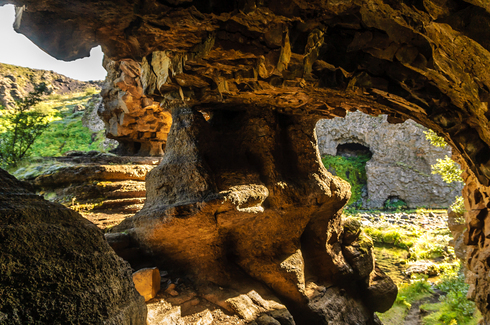 This law was approved by Alþingi and was set to go into effect on April 1, 2014. It included specific protections for natural phenomena, such as lava formations and wetlands. In November, Sigurður Ingi introduced a bill to repeal the nature conservation law, although this has yet to be voted on by parliament. Iceland once was set as an example of unspoiled nature, clean energy and extraordinary financial recovery. Unfortunately, lately the strong Atlantic winds of change start to blow in the wrong direction. In the wake of the devastating financial crisis that brought Iceland to its knees, the people took charge, went out on the streets and demanded the right-wing government to quit what later will be named the “pots and pans revolution”. The right-wing government, led by the Independence Party, was deeply involved in corruption and notoriously known for its crony capitalistic approach in reaching for the country’s leadership, which eventually led to the economical collapse. The new social-democratic alliance led by Johanna Sigurðardóttir came to power in May 2009, and in the aftermath of the financial collapse had a lot of mess to clean and painful decisions to make. However, under Sigurðardóttir’s leadership the economic situation stabilized and recovery came about quicker than expected. In the years to follow, Iceland was often quoted as an example for economic recovery to fellow crisis countries such as Greece and Ireland. In addition to essential financial reforms and regulations, the social-democratic government set the foundation for long-term social and environmental sustainability. 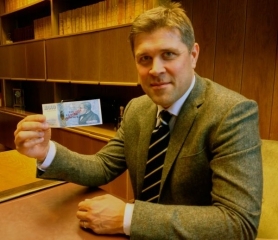 Natural preservation laws and committees were put forward to minimize the exploitation of Icelandic natural resources for monetary profit, green economy plans were outlined by the Parliament, and sustainability considerations started to receive growing attention in decision-making processes. Many Icelanders even claim that the crisis turned out to be somewhat a positive thing, breaking the “gold rush” craze grasping the nation over the years prior to the crisis, and helping people get back to basic values and out of their arrogance and greed. Still, apparently not enough Icelanders shared this optimistic view, as in April 2013 the right-wing coalition led by the infamous Independent and Progressive Parties were voted back into the government, by a majority of 51% of the votes. Only four years after being disgracefully thrown out of Parliament, the two parties were back on the top again. With less than a year in power, things seem to take a backward turn to the worse quite quickly, especially in regards to issues of natural preservation, social justice and governance on the little island. The results of the administration switch were soon translated into action. Among the first steps of the new government was to cancel out the Ministry of Environment and merge it with the Ministry of Fishing and Agriculture. No conflict of interests there. 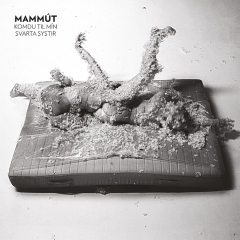 The new minister of all the above declared upon entering the office, that his administration would be making more utilitarian usage of the Icelandic nature and refused to sign a bill initiated by the previous government to increase nature protection in Iceland. This promising start embodies the governments’ general line of argument: that whenever environmental considerations are part of the equation they will always count the least. 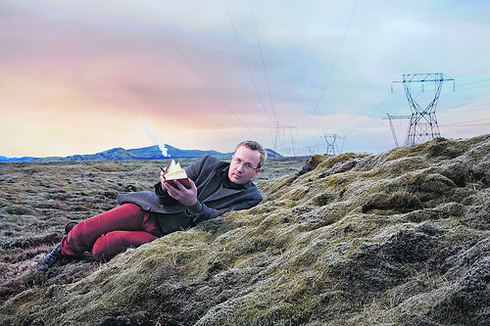 The previous government had appointed a special professional committee to conduct the “Energy Framework”, a document aimed at providing guidelines on which areas of Iceland could be harnessed for power, and which shall be protected, aiming to regulate and limit the exploitation of natural resources for monetary profit. Shortly after coming to power, the new government called to cancel the Energy Framework guidelines and build a new shiny power plant in areas previously categorized as preserved. The government also dismissed over 400 letters from citizens who raised concerns over the new changes – in a manner that was widely described as arrogant and ignorant. Government officials claimed that experts’ opinions were more important than public opinion, while forgetting to mention that the two experts appointed to deal with the issues were politically appointed with no expertise in energy nor in preservation. Over the course of the last half a year new plans have been laid out, setting the stage for more energy projects that violate the Energy Framework and the Icelandic conservation law. Experts from all fields are voicing their concerns and dissatisfaction over the very short-sighted environmental assessments made in the preparations for the new plants, warning constantly about the irreversible damage that will be done to Icelandic wilderness and disturbed ecosystems. Worldly renowned natural areas such as the Mývatn lake, the Þórsjá river and the Icelandic highlands are put in danger of destruction, all for the cause of producing more energy for aluminum smelters. 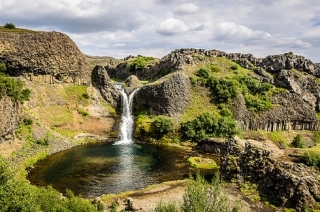 Lately, the Minister of Environment (and agriculture, and fishing), announced that he aimed to change the existing conservation law to allow further development in preserved areas around the Þórsjá river, including damming the river flow. This area (Þjórsárver, S.I. Ed.) has been protected by both the Environment Agency of Iceland and the Ramsar Convention since 1981. As expected, the Icelandic Nature Conservation Association strongly objected the plan, claiming that this will cause irreversible damage to the entire area and the surrounding waterfalls. The minister’s answer to these allegations was that it is okay to sacrifice several waterfalls for the purpose of economic profit which will come out of developing the area. The violation of the natural conservation law continued when last October the government presented a brand new program to construct a highway which will pass through an 8,000 year old protected lava field. This expensive plan has been approved by the government right after a long line of a very painful budget cuts in education, welfare, health, culture, research, arts and science (yet not in subsidies to heavy industry). Why such a rush to build a highway in a sparsely populated area in times of financial cuts? The answer followed soon: The family of the Minister of Finances is expected to greatly benefit from the development of this project. for demanding the government to obey the law. This chain of events vividly demonstrates the government’s insistence on proceeding with its plans at all costs, using every possible tool to silence the opposition. The disruption and destruction of the Icelandic nature reserves is not preventing the new government from attracting as many tourists as possible, and maximizing profits from marketing Icelandic wilderness before it’s all gone. 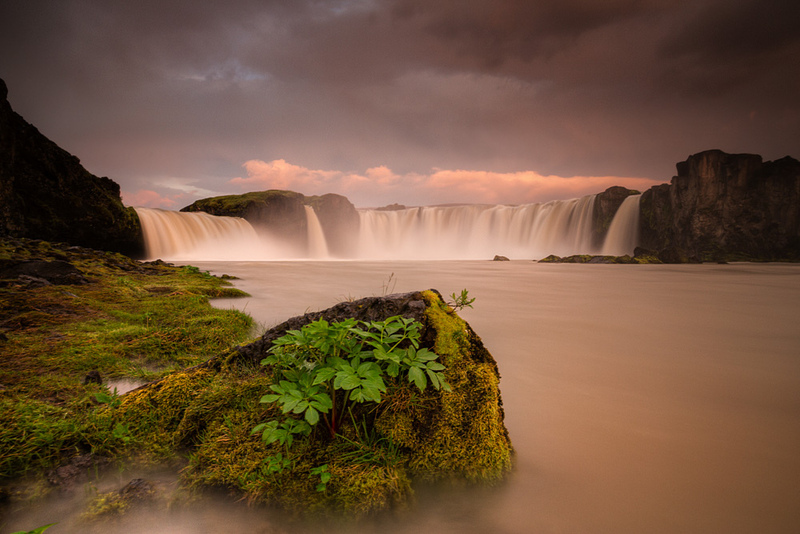 Tourism is a very fast-growing industry in post-financial crisis Iceland. The number of tourists has tripled over the past 12 years passing the threshold of 1 million tourists in 2013 (keep in mind that the entire population of Iceland is 380,000 people!). Understandably, this raises concerns over the fragile Icelandic nature, which was never exposed to so many people at once. While the previous government was putting forward regulations and preservation plans, the new government announced that 1 million is not enough and aims to bring over 3 million tourists per year within the next few years. Already today the effects of this fast growing industry are evident all around the island: Massive tourism is damaging fragile ecosystems, and Icelandic cities are turning into tourist attractions with decreased space for the local population. Needless to say that such a steep increase in tourism will put strain on the ecological system, especially since there is still no regulation or infrastructure in place to prevent the long-term effects of massive tourism. No wonder then, that even the New York Times strongly recommended its readers to go to Iceland ASAP, before it’s too late. The paradox of destroying nature while communicating and marketing the image of Iceland as a pure and unspoiled nature destination is very present in the whaling controversy. Last summer the whaling of Fin whales was renewed, and the new administration has also revoked the decision to limit whaling grounds around the capital in favor of whale watching areas. Note that whale watching is the most profitable tourism attraction in the capital area, however, there is an increasing amount of incidents where tourists pay to witness the magic of wild animals but end up watching a very bloody hunting process. The paradox is that the demand for whale meat worldwide decreases, and that it would be much more profitable to preserve these magnificent creatures for whale watching only. But this does not fall in line with the internal interests of the Icelandic elite, where the family owning the whaling company is well connected. The whaling ships continue their work, and the saddest part of this paradox is that due to low demand many of the endangered animals end their life as dog food in Japan or as some marketing nonsense such as “whale beer”. Go see them before it’s too late. At the beginning of July the results of a framework programme, concerning the exploitation and protection of Iceland’s natural resources, will be presented publicly. 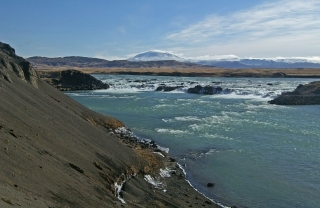 The timing of the presentation has much more to do with demands from the labour market agents, rather than the government’s will to try to reach a settlement about the result, according to the Icelandic Nature Conservation Association (INCA, or NSÍ in Icelandic), which is highly critical of many aspects of the making of the framework programme.